Season’s Greetings from Central Park Sightseeing! NEW YORK: Crowds gather at Rockefeller Center to see the newly lit Christmas tree on December 5, 2013. Thanksgiving is over, the Macy’s Parade has marched through Manhattan and the holiday season has officially started. Santa came to town as the finale of the parade and now its time to spread holiday cheer, spread good tidings and be merry. During this season in the city there is so much to see and do. Lights twinkle and sparkle in the distance, snowflakes fall from the sky (hopefully soon! ), horses travel about with carriages in tow, and everything is a magical holiday wonderland. 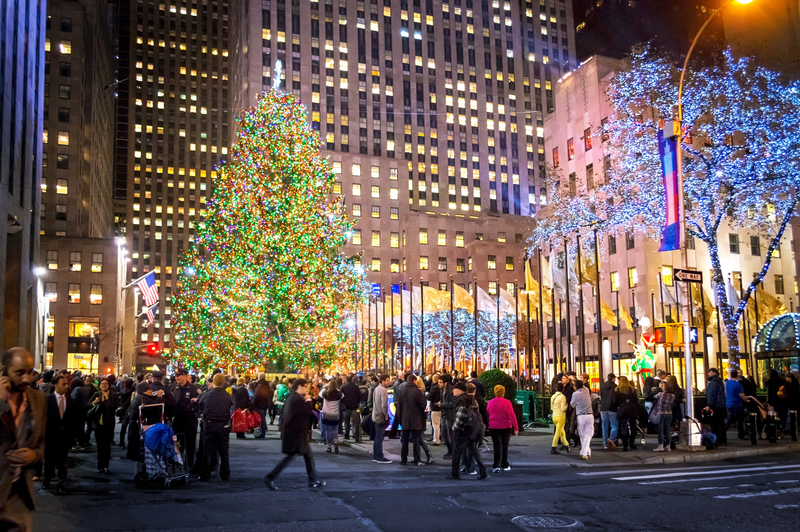 With so much to see and do during the holidays in NYC, it can be hard to keep track of it all! The list below will give you an overview of much of what New York has to offer during the winter season. 17th Annual Winter’s Eve at Lincoln Square -New York’s Biggest Holiday Festival! Public Fare | Eat at the Winter Village! Empire State Building lit up with Red and Green Lights – seen from all over Manhattan! Watch the live-stream broadcast from NBC in the comfort of home! 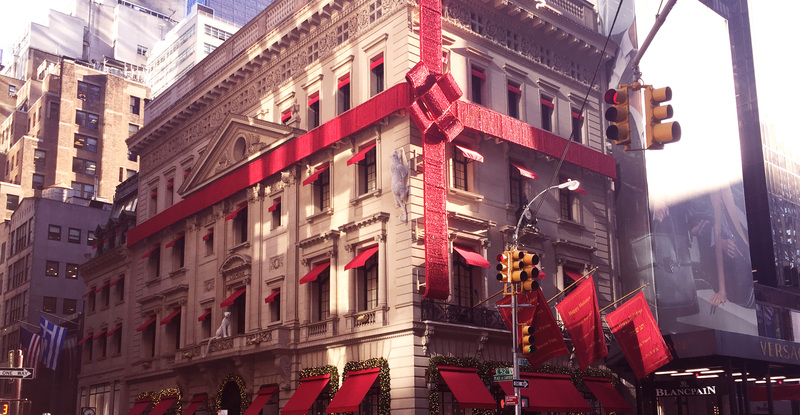 Cartier’s iconic window display on 5th Avenue hinting that a package from them will make your holiday that much more magical. Columbus Circle Holiday Market – opens today! Only four shows so reserve a spot soon!